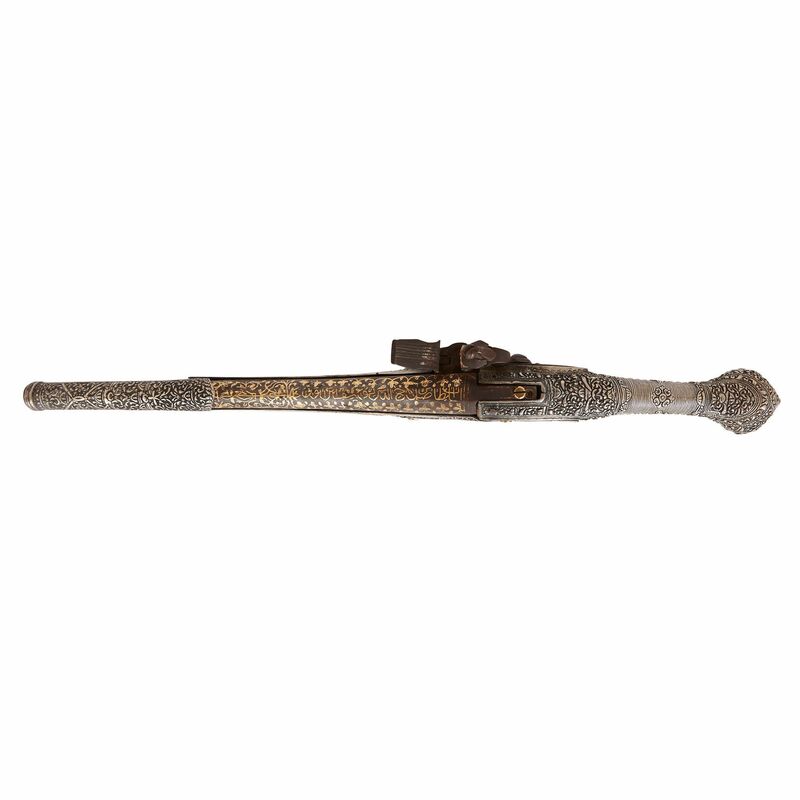 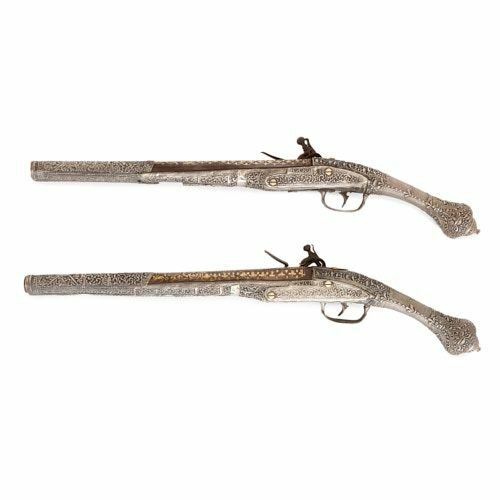 These antique Balkan silver pistols are exquisitely decorated with stylised vegetal chased and engraved designs, and fine gold-damascened work. 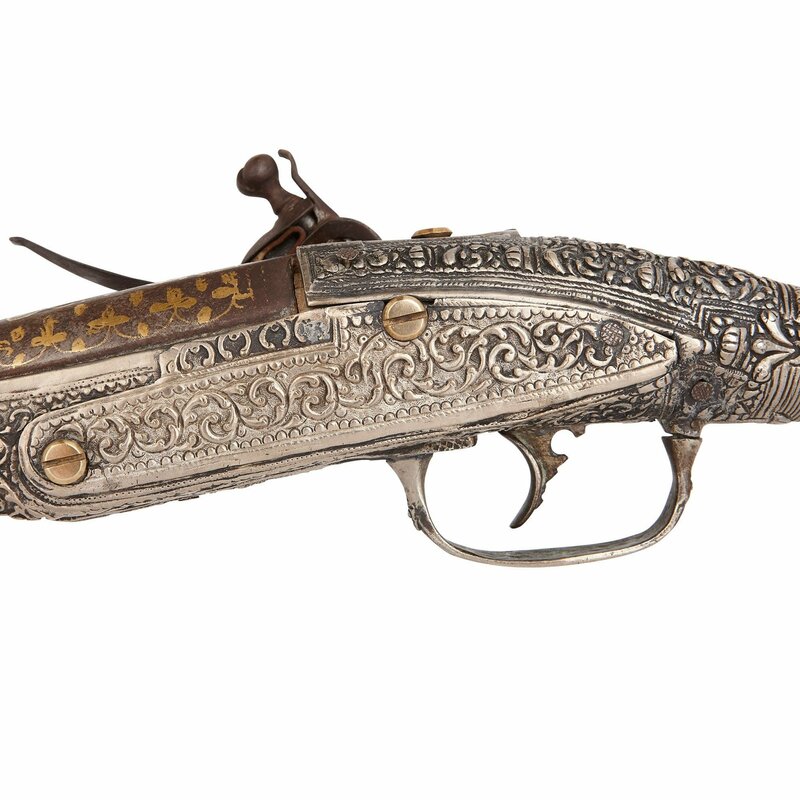 The guns are 18-bore flintlock holster pistols. 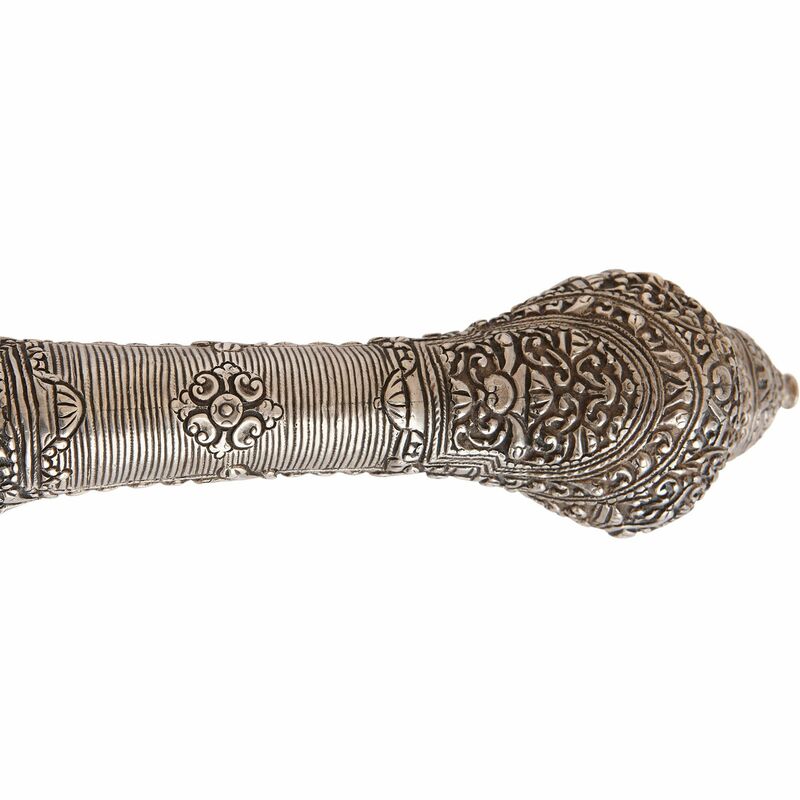 They feature silver stocks, with bulbous spurred pommels. 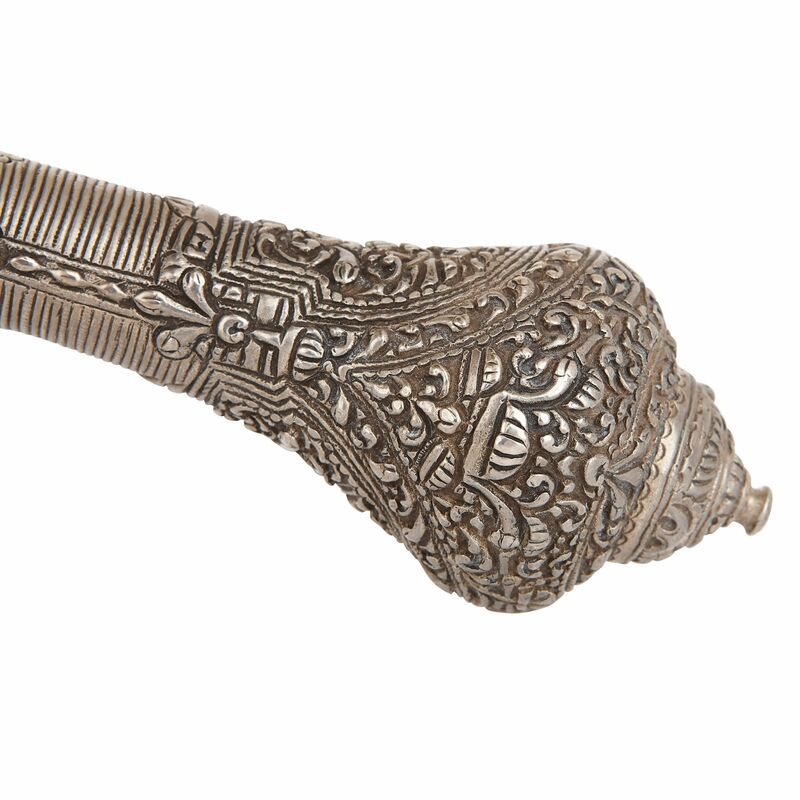 The stocks are decorated with stylised foliate chased designs, and the grips are ribbed. 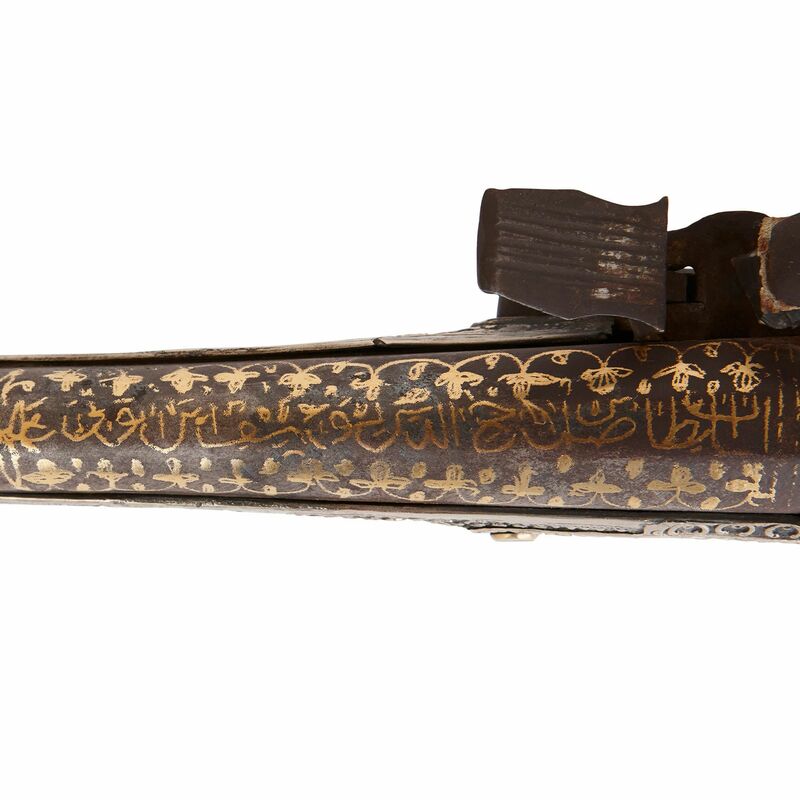 The pistols' barrels are damascened in gold, creating trefoil motifs and curling vines, which enclose pseudo Arabic inscriptions. 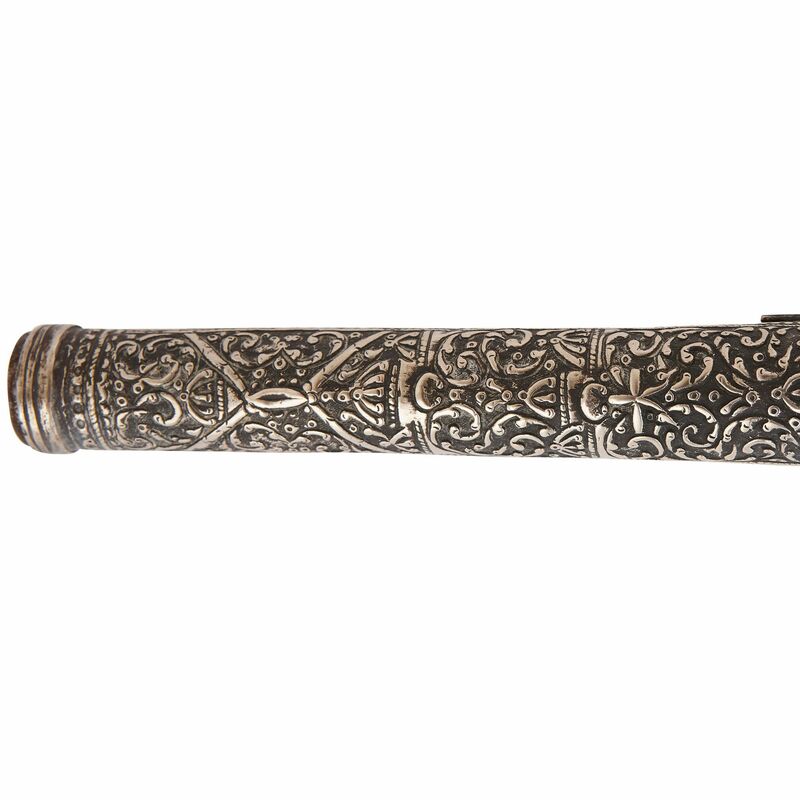 The rest of the barrels are covered with silver, which is chased with scrolling foliage. 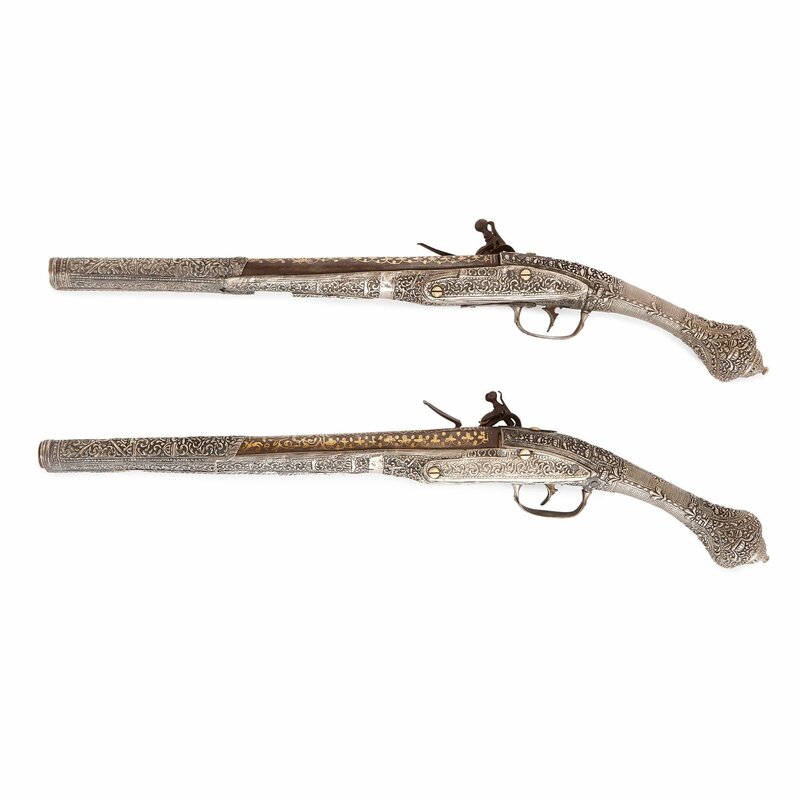 These pistols were crafted in South-Eastern Europe in the 19th Century. 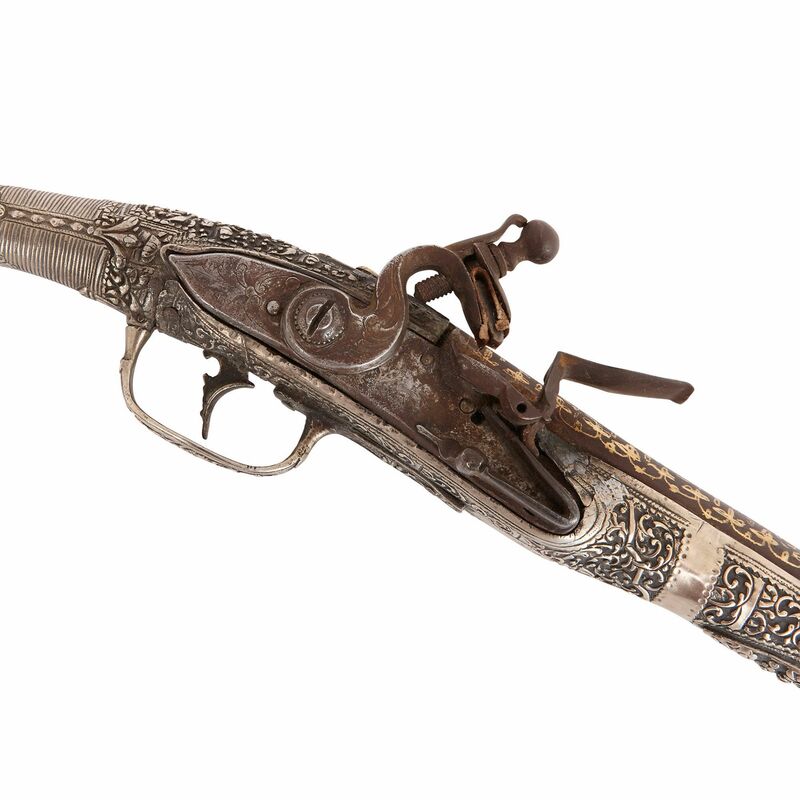 They are beautiful, collectable pieces of antique weaponry.